A few days ago I posted a short video of me winding up two hanks of super soft Cloudborn superwash merino wool bulky yarn on Instagram. I asked for suggestions on a pattern that I could use this yarn for and several of you suggested the Gap-Tastic Cowl by Jen Geigley Knits. So, I jumped right over to Ravelry.com and it was love at first sight! It’s also a FREE pattern! You can download it HERE. 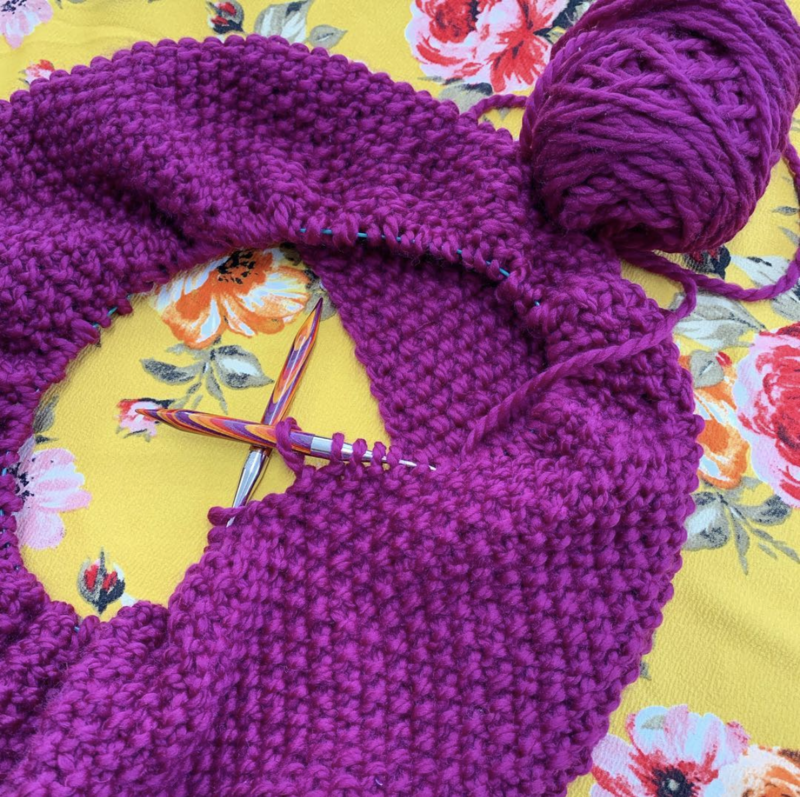 It’s a fun and quick beginner project that produces a cozy textured cowl! If you can knit in the round and know how to knit and purl then you can make this! It’s all done in seed stitch. I’ve been watching a few episodes of the Celia Cruz series on Netflix the past two nights and I’m making great progress on my cowl already! Can’t wait for it to be complete! Making progess on my Gap-Tastic Cowl! I love that color. It is perfect for the cowl. JUST the inspiration I needed as I sit here with my right foot in a “boot/brace” due to a broken ankle. This and your Netflix suggestion will certainly help the next few weeks pass more pleasantly and productively! Thank you. Cruz… doesn’t get much better! Thanks, Vanessa! Vanessa, love your website, you have a wonderful family, and farm, it’s great your family is involved in your website. What size needle and cord do you use for your hats? Looking to try knitting and want to make sure I get the common ones used for making. Hats, scarves and love your cowl !